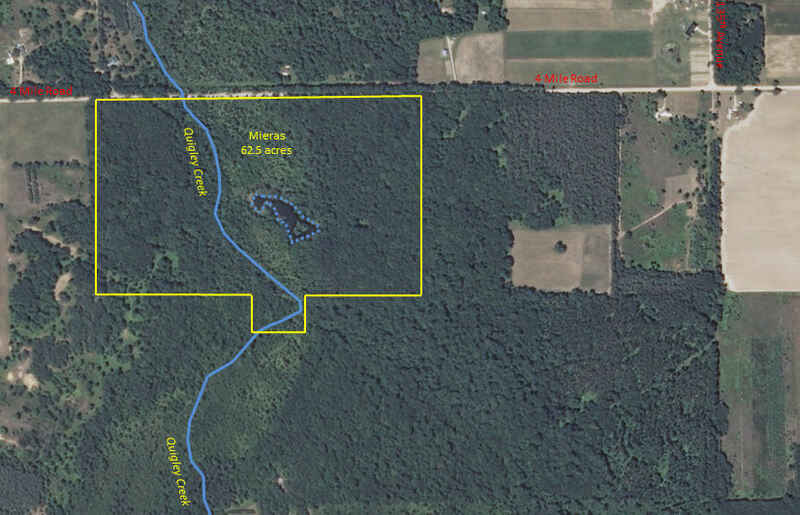 63 acres in Deerfield Township, Mecosta County and established in 2012, this preserve was received with assistance from the Grand Rapids Community Foundation from the estate of Robert D. Mieras, who wanted the property to be protected as natural space. Parking is along the south side of 4 Mile Road, where Quigley Creek crosses, about ½ mile west of 135th Avenue. Quigley Creek is a designated trout stream.